After reading the post, I ended up writing a comment with the thoughts that came to my mind about questioning. After I posted it, I thought about how I had read a lot of great blog posts throughout the day, and I comment on a lot of them! I really enjoy thinking about what people have to say and sharing my thoughts in return. What I realized is that one of the primary purposes of this blog I just created is for personal reflection and a place to store my thoughts. So, going forward, I’m going to start copy and posting some of those thoughts here so I capture them rather than cast them about the blogosphere like seeds in the wind. 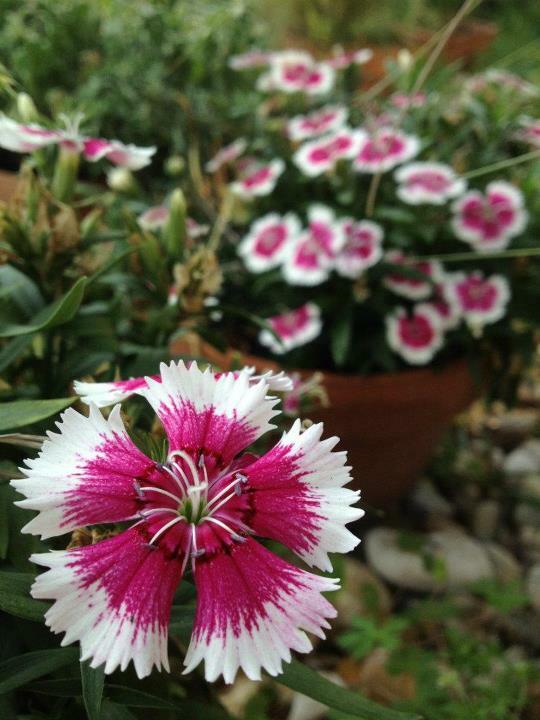 Of course, I’m honored if any of my thoughts are the seed of a conversation elsewhere, but I don’t want to ignore my little garden patch of ideas here on my blog. 1. Give away the answer. Sometimes I present a problem, and almost immediately give away the answer. That way when we’re talking about the process for finding the answer, the students aren’t hung up wondering whether they’re correct or not. Also it demonstrates that I care about more than getting the right answer. How we get the answer, especially if there is more than one solution path, means a great deal to me, and I want it to mean a great deal to my students. 2. Do your students understand the question? This may only apply to younger students, or perhaps students where English isn’t their first language, but I was surprised to find out how difficult it was for students to grasp “missing information” questions. For example, “Tom has $30. He buys some candies that cost $4 per pack. What information is needed in order to determine how much Tom spent?” It amazed me that until we had talked explicitly about this question type several times, my students (4th graders) completely ignored the part asking about missing information. They jumped right to the question, or at least what they saw as the question – How much did Tom spend? They couldn’t grasp that this question was impossible to solve without more information. It goes to show how much understanding language is wrapped up in understanding math. 3. Let students write the questions. I like providing students situations with lots of information and asking students to pose the questions we might solve based on this information. For example, I read a blog today where someone posted a worksheet showing the writer’s times on various legs of a triathlon. She also included her friend’s times on the same triathlon. The question she posed was whether she and her friend finished at the same time. I like the question, but after looking at the data, I couldn’t help but think of all the other questions you could ask using that same data. Students have to make all sorts of connections to their prior knowledge to look at a set of data and think of questions to ask. Of course they’ll likely start with very obvious questions, but with practice they can get very creative! 4. Ask, “Are you sure?” even if they’re right! Students are pretty smart. They realize that adults often ask this question to indicate that the student has made a mistake. Teachers should be asking this question regardless of whether the answer is correct or not. If you want a student to be confident in their answer, and more importantly if they want to be confident in their answers, this is a question they should hear repeatedly and learn to ask themselves. 5. Be a traffic cop. When you ask a question and a student answers, you can stop all momentum by saying, “Correct,” and moving on. But imagine if you say instead, “Oh, Zaida thinks the answer is 24. John, do you agree or disagree with this answer?” followed by, “Oh, John says he agrees with the answer of 24. Mary, why do you think both students are saying the answer is 24?” The student answers pass through you but you immediately pass direct them in the form of a new question to another student in the class. You don’t have to do this if the question is simple. If I’m teaching 5th graders and for some reason I ask the sum of 12 + 12, then I’m not going to engage in a lengthy discussion, but if the students are evaluating a situation using concepts we’re currently working on, then you better believe we’re going to talk it out, and they’re not going to think the answer is correct because I told them so, but because we built consensus as a class. So those are my thoughts on questioning that I wanted to capture. I love getting involved in conversations with students and questioning them to learn more about their thinking and how they approached a problem. It fascinates me what goes in the brains of kids. They can be surprisingly clever and sophisticated; we just have to give them opportunities to show us how cool their thinking is. This entry was posted in Uncategorized and tagged capturing thoughts, questioning on August 30, 2012 by bstockus. It’s amusing, and should probably come as no surprise, that I started this blog thinking I wouldn’t have anything to talk about. However, after reading through the new math blogger initiative posts today, I now have a list of 6-7 things I’d like to write about. Woo hoo! So the question of the moment is, what do I write about first? Considering a lot of the posts I read today were about the start of school, I thought it would be timely to write about my own experiences and thoughts about the beginning of the school year. Two recurring topics that stood out to me were setting the right tone and building relationships with students. I couldn’t agree more with how important these two tasks are, especially at the start of the school year. I doubt it’s a magic bullet, but I had a lot of success with a community building program called Tribes. After a quick look at their Web site, I can tell they have more “stuff” these days that you can buy to implement/support the program, but honestly you’ll be set if you can get your hands on their book, which you can probably find used at a local store or on the internet. The book is great because even if you don’t have time to read it all, just flip to the back. There is a huge section of easy to implement activities that I was able to use on their own or embedded in a content lesson to help students build positive relationships with me and each other. A key component of all of these activities is reflection, although this applies to teaching in general, not just Tribes activities. How often did my students finish an activity and then move on to the next without stopping to think about what just happened? Did I learn something? What was it? Did I get in an argument with someone? How did I handle it? What did I like about this activity? What did I dislike? More importantly, how often did I stop the class to reflect during the lesson? If the students were in the middle of group work and I observed several groups goofing off or arguing, I learned to tell the class to freeze. I would ask them to rewind the past few minutes in their minds. What were they hearing? Seeing? Feeling? I told them to compare this to what should have been going on in the classroom. Then we brainstormed suggestions about how the activity could continue, but this time in line with expectations. The beginning of the year was always a great time to reflect constantly with the students. It set the tone for the year. I didn’t just tell them my expectations, we worked on reaching them together. At first it felt like it was taking too much time or slowing things down, but reflecting back, I feel like it paid off in the long run. 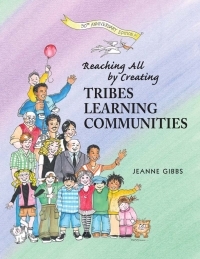 Have you used Tribes or some other community building programs? What were your experiences? What worked and what didn’t? What do you do at the beginning of the year to set the tone and build relationships with your students? Now that your first day of the school year is over (if it’s over) what would you do differently? This entry was posted in Uncategorized and tagged community building, new school year, reflection, suggestions, Tribes on August 29, 2012 by bstockus. What the heck does this guy do? So I took the advice of Dan Meyer and started my own blog and Twitter (@bstockus) accounts today. I’m excited to join the mathtwitterblogosphere! I should start by introducing myself. My name is Brian Stockus. I was an elementary school teacher for eight years in Texas. In the middle of that I went back to school to earn my Master’s degree in instructional technology. For the past three years I’ve been working for a digital curriculum company designing elementary math lessons and leading a team of instructional designers. I’m not here to advertise for my company so I probably won’t mention it much in my writing. If you’re dying to know more about it, send me a message and I’ll fill you in. 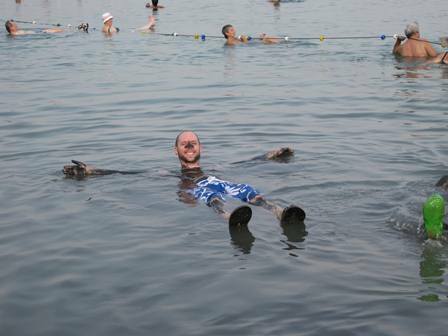 Floating at the Dead Sea while on a work trip. One of the coolest things I’ve ever done! I’ve loved my current job because it’s allowed me to spend time on something I never had nearly enough time for as a teacher – designing lessons! That should have been a key part of my job as a teacher, right? Instead I felt like I was always flying by the seat of my pants as far as lesson planning went because I was always juggling so many other responsibilities. It used to be common practice for me to invent a lesson as I showered in the morning before school, but now I’m afforded the time over several days(!) to learn about a topic, discuss it with others, make lesson drafts, and have other people review them. Sadly the trade off is that I don’t get to teach my lessons to students when I’m done, but I take what I can get. Even if this isn’t something I’ll do long term, I’m learning a lot and enjoying the ride. Gardening isn’t always easy in Texas, but I still enjoy it. That’s all for now. Again, I’m excited to join the ranks of math bloggers. This entry was posted in Uncategorized and tagged me, noob on August 28, 2012 by bstockus.